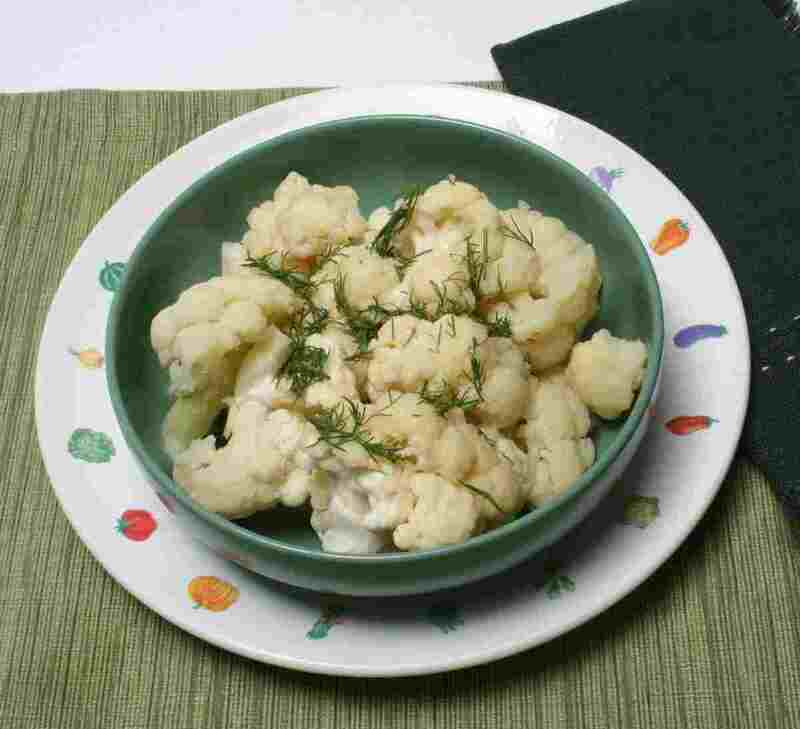 This dill cauliflower with mustard dish uses Dijon mustard and dill to enhance the flavor of the cauliflower beautifully. If you love cauliflower you'll love this recipe! Cauliflower has a lot of potassium. In fact, one head of cauliflower has about 1758 mg of potassium or about 50% of your daily requirement. Of course, it's doubtful you are going to eat a whole head of cauliflower! But it is good and good for you too! It also contains about 12 g of dietary fiber, 11 g of pro- tein and Vitamins K, C and B as well as calcium, iron, magnesium and a whole lot more! 1-2 Tbsp. minced fresh dill or 1/2 - 1 tsp. leaves. Cover and bring to a simmer. 5-6 minutes or until cauliflower is tender. to chill in the broth for about 30 minutes. Drain cauliflower, reserving broth, and place in a serving dish. 7 g carbohydrate, 2 g protein, 3 g dietary fiber, 150 mg sodium.